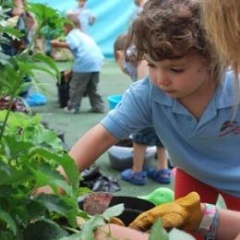 Action-based learning is elevated to the next stage using innovative teaching methods. 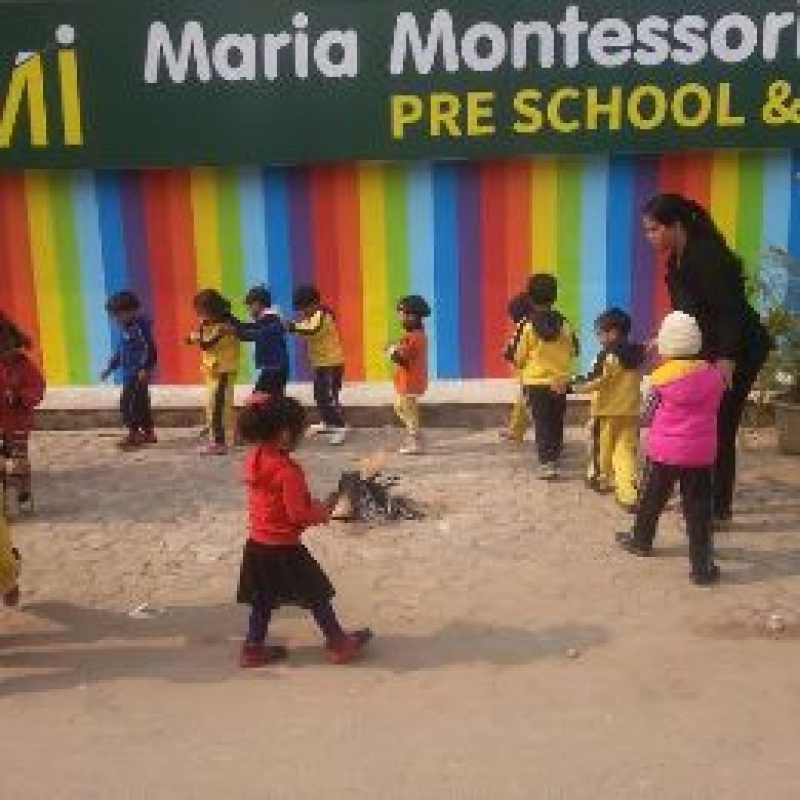 Maria Montessori international PRESCHOOL is recognised by mainstream schools as an institution that produces confident, creative and eager learners. 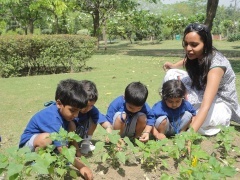 The unique programme is a new concept in learning and incorporates path-breaking brain research.MMI curriculum is based on active and experiential learning. 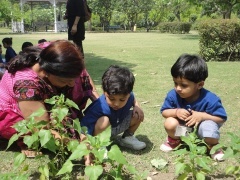 An optimum teacher-student ratio ensures effective implementation of this activity-based curriculum. The teacher student ratio at the various levels allows for the transition of students from dependence to interdependence to independence. The sequence followed goes from weakness to strength to greater strength. This order of growing independence helps the student display learning away from the guidance of the teacher, demonstrates that s/he is able to accomplish certain tasks by herself/himself and begins to control the learning process. The most important difference about MMI SCHOOL lies in the theoretical underpinnings of the way we help children learn as opposed to teaching them. 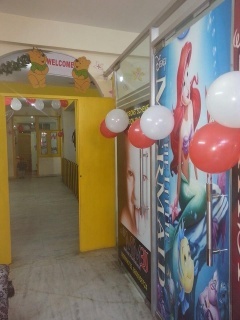 We have carved a niche for ourselves in the preschool industry in a very short span of time with our unique pedagogy, updated curriculum, state-of-the-art infrastructure, scientific and advanced study material as well as play and learn equipment. 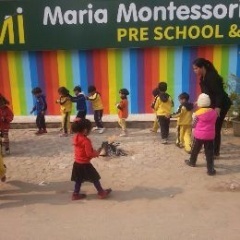 We are unique in our philosophy, reachability, wonderful connection with parents and that is why MMI SCHOOL is India’s best playschool. 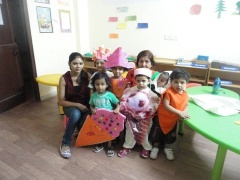 We work to cater to the needs of toddlers whose childhood is precious and deserves to be full of joy, play, love, happy learning, lovely memories all of which could make their childhood, Unique. We welcome our children with open arms and give them a home away from home. 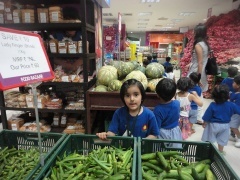 A Place Where Kidz puts their Brain to work with fun All the learning activities at MMI SCHOOL are designed in such a manner that kidz learn it all by doing it on their own. 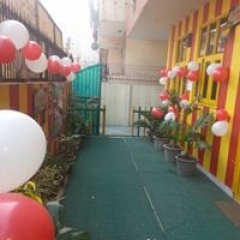 They touch, explore, feel, enjoy and learn it by doing it with the help of carefully selected toys, games, activities, teaching aids and equipment. Our Strength Our Faculty The faculties at MMI SCHOOL are well trained in child psychology and Montessori teaching techniques. No doubt they constitute our main strength. They are trained on a regular basis by experts in the field to keep them abreast with the latest teaching methods as per International Standards. 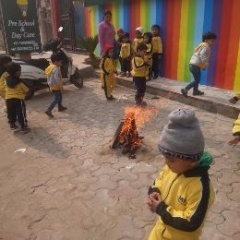 The teacher at MMI SCHOOL is a friend who reads through the abilities and likings of the child and then facilitates in honing the skills that the child possesses. 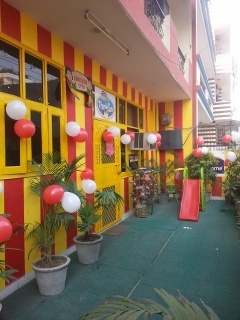 Strict discipline and a teacher - student ratio of 1:10 are maintained to give the very best of education to the child.